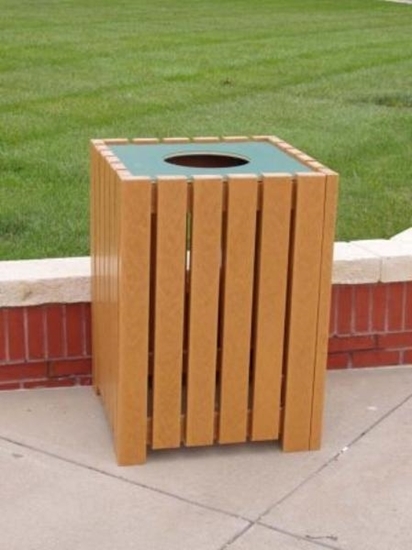 Made with twenty-four 2" x 4" recycled plastic slats. 32 gallon - weighs 170 lbs. Available in standard colors of Green, Gray, WHite Black and Cedar.